The fact that you actually take the time to read my humble blog means the world to me, so please feel free to leave me comments I value you thoughts. I really do. Anyway hasn’t today’s heat been unbearable!? Another day well over 36 degrees has once again reduced me to doing my best Vampire impression inside my house, keeping blinds and curtains drawn to keep the inside as cool as possible and having the air con going just to keep myself and my creative companion Binx cool. And now as I type this and 6 minutes past 8 in the evening I think I can smell rain!! PLEASE let it be raining outside finally, everything is so tinder dry out there once again it’s not funny. I’m not game to open the door and take a peak outside in case of disappointment so I think I’ll stay put and finish this latest post as I have some things to share with you all. The past few days (Thursday to Saturday) has been a virtual Yarn/Crocheting haven for me. It was like no matter where I looked in my fave (only) craft store here in Horsham and in Ballarat or on my fave websites and Buy-Swap-Sell groups there were fantastic bargains for me to have, or surprises to be found in my letterbox thanks to postie and even delivered to my door by my usual parcel guy Dave!! It’s not very often things like that work in my favour so needless to say while I had the means I took the chance and went with it. What to see my little treasure trove of happiness that I gathered over the last 3 days? Pfft who am I kidding of COURSE you do. Lets start with Thursday shall we?? Thursday I was poking around Spotlight as I was looking to get my hands on some more Cardellino yarn as Spotlight had dropped the price on it by $2 and as I LOVE making caplets, slouchy hats and fingerless mitts/wrist warmers out of the cardellino yarn I definitely wanted to get my hands on some green and hopefully some plum colour. As well as a bag of 10 Moda Vera Marvel 8ply in the rich purple to fill a caplet order a very good friend as placed with me. 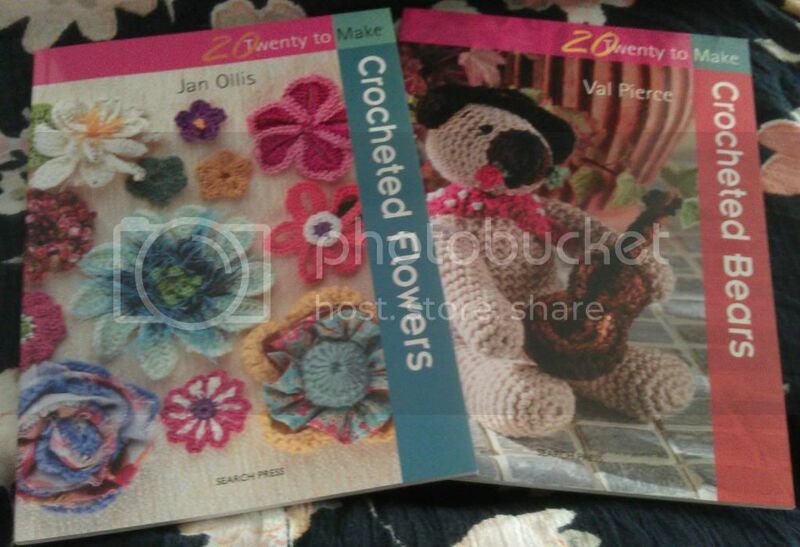 So as I was wondering up with my bag of 10 Cardellino yarn in the green (no sign of the plum colour though – pooh) and to place and order for the purple Marvel as their shelf was cleaned out I noticed one of the girls unpacking a box of new stock arrivals and straight away 2 books just jumped out at me and I had to have them. So with my bag bulging with new yarn and now the books I happily skipped (ok drove, ya got me) home to store the yarn in my (already overflowing) drawers – I seriously need to get a new storage stash create – and looked through the mail that arrived in my letter box while I was out, had a slow look through both books trying to make up my mind which one I wanted to try 1st and generally relax in the cool as the temp was already heading towards 36degrees again. 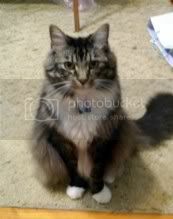 Ok I also did a bit of online shopping at lincraft.com for some 8ply yarn in various colours for a Mandala I want to make for my teapot Chester to sit on and for some more Grandala Prayer Flags but I’ll get to that later. My letter box contained these two little gems from my February Square Swap partner. Two 8inch squares of knitted goodness this month and one even has a little teddy bear on it, totally cute!! Every month now I am so grateful I took the chance and signed up for the 8inch square swap over in ravelry.com (Australian Swappers Group) back in October now. 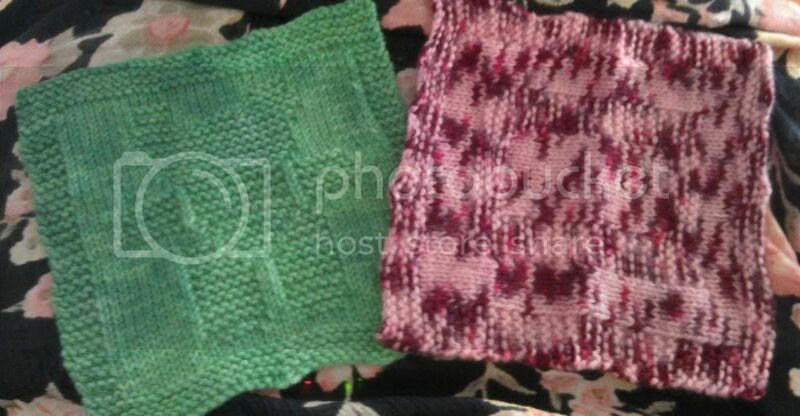 Since October I have received 2 amazing squares from a different partner each month and I in turn have sent 2 different 8inch squares I have made to a different person each month. Which reminds me I MUST pop my 2 Feb squares I made in the post tomorrow so they can get to my swapper this month. Anyway if you want to know more feel free to pop over here and check it out at the Australian Swappers Group Square Swap and if you feel so inspired join the group and join in on the fun of this or one of the other awesome swaps we have on the go. I’m in this one, the Birthday 2012 Swap and the Rainbow Swap which I am so far thoroughly enjoying! Hee I got it to mainly make a Mandala for Chester the Cat teapot to sit on but a lot of the left over will be used to make more Grandala Prayer Flags. All those colours are somewhat hypnotic and I can’t wait to get my hook into it as soon as I finish my emotive throw and the gifitie….So expect a post of the mandala somewhere down the lines in the future of 2012. It’s PERFECT!! Just the colour I have been looking for and the only thanks the sender wants me to do is “pay it forward” by doing something nice for another person. 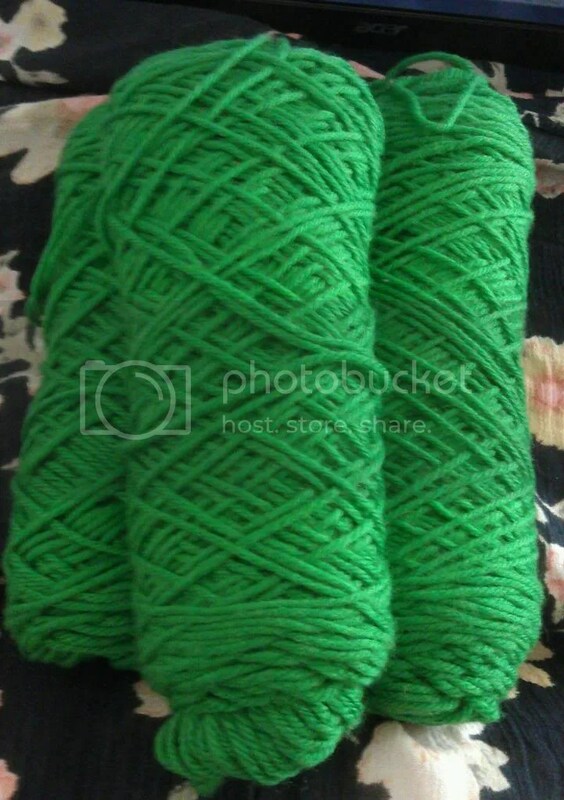 So Dez lets out another excited squeal and stashes this green yarn away to be pulled out in perhaps a fortnight if not sooner to start the “Gift for Mum” project. Saturday was spent Ute shopping again in Ballarat this time but that’s another story, the only bit of Yarny goodness that I got there was the Ballarat/Wendouree Spotlight store had the Plum coloured Cardellino I was looking for in Horsham so happy dance, grab 10 and head home. All else I can say about yesterday for now is thank goddess my car is air conditioned! Well that’s it from me for now, Bones is about to start and I am going to attempt a peak out the door to see if it is raining or if my nose was playing tricks on me. 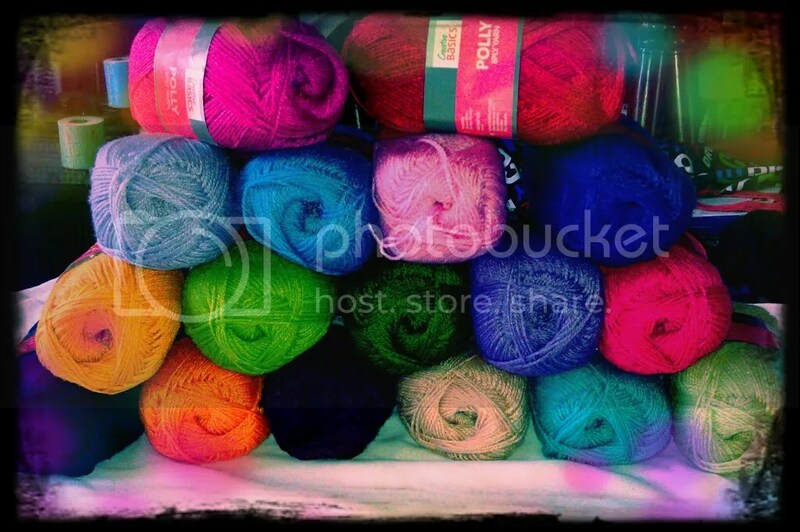 This entry was posted in Crochet and tagged Crochet, Green, Moda Vera, Ravelry, Spotlight, Swap. Bookmark the permalink.